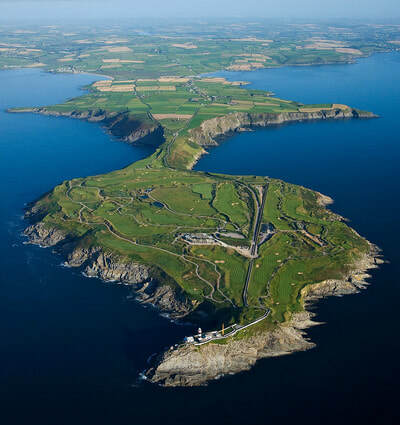 For many, this is the most popular golf trip in Ireland. 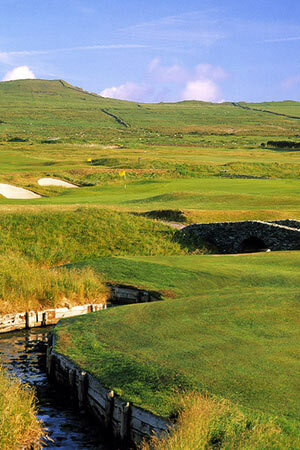 Here you will find a cluster of some of the most famous golf courses in Ireland, perhaps in the world. 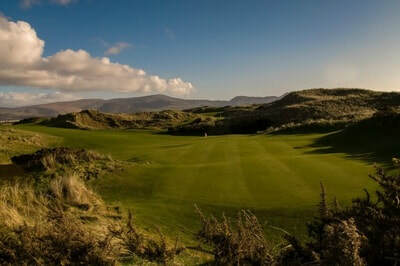 Ballybunion Old Course, one of Tom Watson’s favorite courses, The Arnold Palmer designed Tralee, Waterville, the spectacular Old Head as well as Lahinch and Trump Links at Doonbeg. Stay in Killarney, the liveliest town in the south west and Kinsale, known as Ireland’s gourmet capital, close to the Old Head. 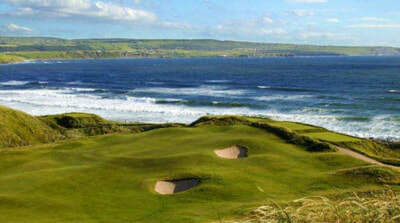 You may also include the luxurious Trump Resort at Doonbeg and the fine accommodations in Lahinch. Indeed, you have a large variety of accommodations to choose from such as small family run guesthouses to luxury five star hotels, country manors and castles. Chauffeured or self drive options available. 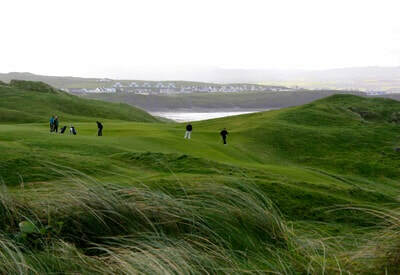 Golf has been played in Dooks since 1889 which makes it one of the oldest Golf Links in Ireland. 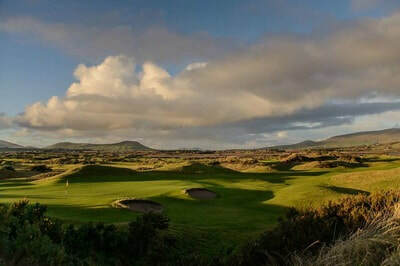 Having remained as a nine hole course for almost 100 years, it was extended to eighteen holes in the 1970s under the guidance of Eddie Hackett. The course was further enhanced in 2002 by Martin Hawtree. 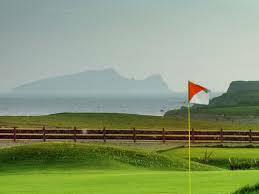 Nestled on the edge of Ireland's dramatic southwest coastline, Dingle Golf Links is a very special place to visit. For many it is the truly special people of the Dingle Peninsula that make their time here so memorable. For others the quite breathtaking scenery of the peninsula revealing as it does its hidden bays, small fishing villages, glorious mountains and the Blasket Islands. 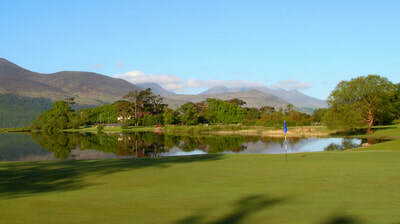 The Killeen course although not the oldest of Killarney's three courses, is described as the the jewel in the crown. 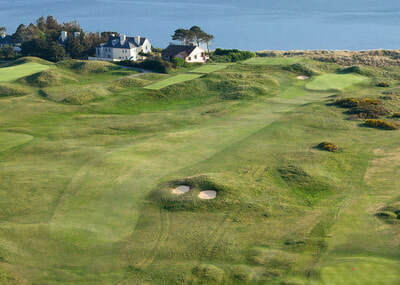 The Killeen was re-designed as a more demanding course in 2006, played host to the Irish Open in 2010 and 2011. The course offers both spectacular lakeside scenery and challenging golf to players of all levels, with water features on nearly every hole. 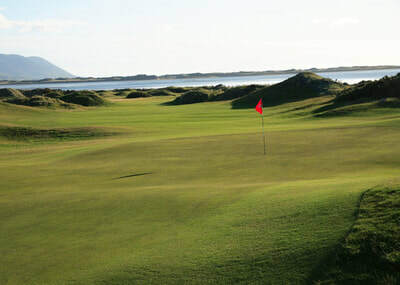 The Killeen also played host to the Irish Open in 1991 and 1992, and Sir Nick Faldo, on winning the first of his two successive Irish Opens in 1991, was one of only three players to finish under par. 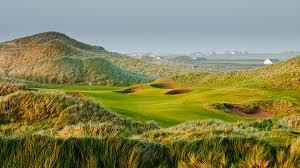 The Old Course at Ballybunion is one of the finest links courses in the world. Wild and intimidating, but stunningly beautiful on the Atlantic coastline of North Kerry. 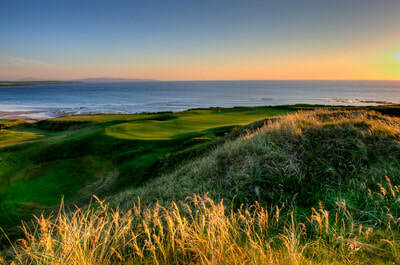 Renowned for its grassy dunes and the contours of both fairways and greens. You are sure to remember many of the fine holes, in particular the par four 11th, perched right on the seaside clifftop among the dunes. 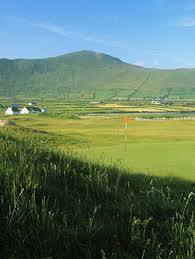 Tralee Golf Links was designed by Arnold Palmer. 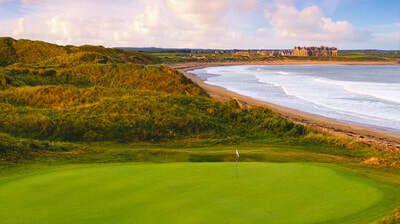 This stunning setting represents a true paradise for those willing to challenge what is widely acclaimed as one of the finest links courses in the world. Smitten at first sight, Palmer would later go on record with this memorable quote: “I may have designed the first nine, but surely God designed the back nine”. 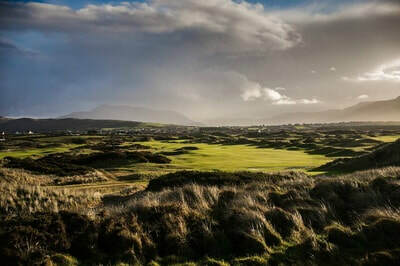 It comes as no surprise to learn that, due to the majestic beauty of this setting, Palmer choose it to be his first and, arguably, his finest golf course in Europe. 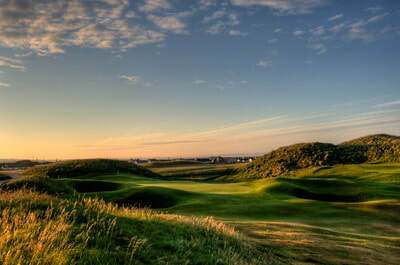 A wonderful layout on links terrain by the prolific architect Eddie Hackett. 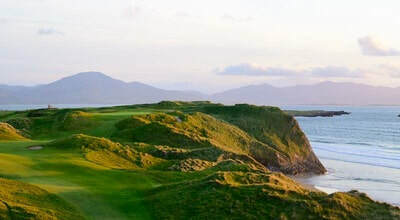 Set against majestic scenery on the famous Ring of Kerry, you will a hardly find as tough a test as Waterville. Unsheltered from the sweeping winds from the Atlantic, this is as real golf can get!It’s signature hole is the par three 17th , named “Mulcahy’s Peak”after course developer John A. Mulcahy, where you tee off some 250 feet above sea level with a carry of 200 feet over dunes to reach the green. 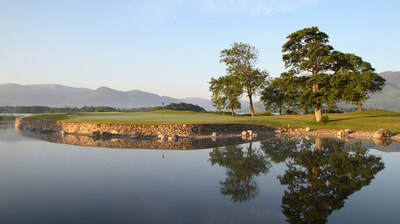 He insisted on the location of the tee so as all who play Waterville would depart with a remembrance of this unique setting. 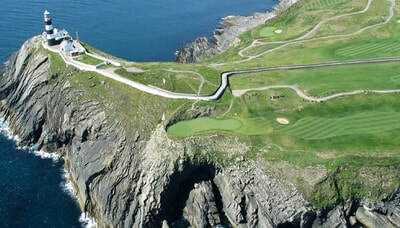 Old Head Golf Links is built on a 220-acre diamond of land, jutting out over two miles into the Atlantic. 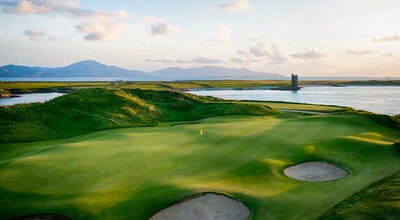 The promontory is almost an island with numerous caves running beneath your feet as you play the course.Comprising of five par 5′s, five par 3′s and eight par 4′s, the links stretches to over 7,200 yards from the tips and with a minimum of six tees on every hole, the course provides a stern test to the touring pro and high handicapper alike. 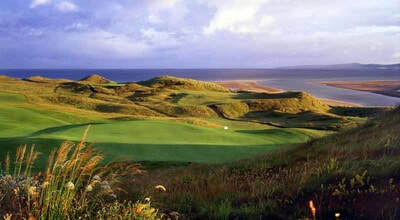 Lahinch, with its towering sand dunes, undulating fairways and rolling greens is the perfect natural golfing terrain – a true links.The original course design work by old Tom Morris was later improved upon by Alistar MacKenzie. 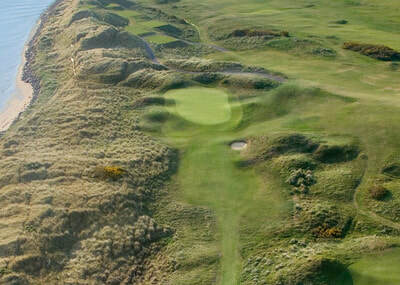 The feature holes include the long 5th known as the “Klondyke”, with a completely blind second shot over a dune which straddles the fairway . This hole is followed by the “Dell”, the 156 yards par three 6th, which requires another blind shot to reach the green. 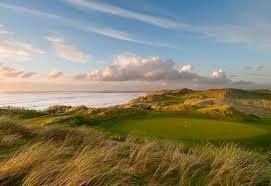 The links course plays along 1.5 miles of beach and dunes. The ocean is visible from the green, fairway, or tee on 16 of the 18 holes. 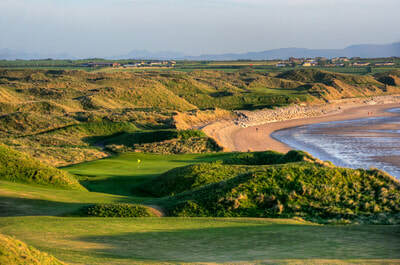 An awesome challenge awaits you at Doonbeg.